With the return of the estate tax in 2011, the stepped-up basis on inherited property also returned. This means that an asset's basis is its fair market value on the day of the original owner's death. By making a charity the beneficiary of your life insurance, you can make a much larger contribution than if you donated the cash equivalent of the policys premiums. Some types of life insurance create a cash value that, if not paid out as a death benefit, can be borrowed or withdrawn on the owners request. Since most people make paying their life insurance policy premiums a high priority, buying a cash-value type policy can create a kind of forced savings plan. Furthermore, the interest credited is tax deferred (and tax exempt if the money is paid as a death claim). There are two major types of life insuranceterm and whole life. Whole life is sometimes called permanent life insurance, and it encompasses several subcategories, including traditional whole life, universal life, variable life and variable universal life. In 2003, about 6.4 million individual life insurance policies bought were term and about 7.1 million were whole life. 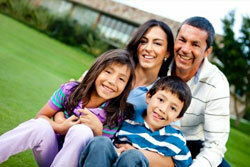 There are two basic types of term life insurance policieslevel term and decreasing term.  Level term means that the death benefit stays the same throughout the duration of the policy.  Decreasing term means that the death benefit drops, usually in one-year increments, over the course of the policys term. Whole life or permanent insurance pays a death benefit whenever you dieeven if you live to 100! There are three major types of whole life or permanent life insurancetraditional whole life, universal life, and variable universal life, and there are variations within each type. In the case of traditional whole life, both the death benefit and the premium are designed to stay the same (level) throughout the life of the policy. The cost per $1,000 of benefit increases as the insured person ages, and it obviously gets very high when the insured lives to 80 and beyond. The insurance company could charge a premium that increases each year, but that would make it very hard for most people to afford life insurance at advanced ages. So the company keeps the premium level by charging a premium that, in the early years, is higher than whats needed to pay claims, investing that money, and then using it to supplement the level premium to help pay the cost of life insurance for older people. By law, when these overpayments reach a certain amount, they must be available to the policyowner as a cash value if he or she decides not to continue with the original plan. The cash value is an alternative, not an additional, benefit under the policy. In the 1970s and 1980s, life insurance companies introduced two variations on the traditional whole life productuniversal life insurance and variable universal life insurance.